Termination of parental rights is something the Indiana family courts take very seriously. Such proceedings will only be initiated if the either the parent losing the rights consents or the court deems the action to be in the child’s best interests. Cases of direct abuse or neglect are some of the most obvious reasons, but another common reason termination would be requested would be if a stepparent wishes to initiate a formal adoption of the child. This cannot be done without first terminating the other parent’s parental rights. Our Highland adoption attorneys recognize there are many sound reasons why stepparents and their marriage partners would want to do this. In many cases, it’s simply making legal what is already the reality. To start, it may give every child in the household equal status. It’s a demonstration of not only affection, but commitment. Beyond that, the stepparent may want to solidify his or her legal relationship to the child, should the biological parent die or become incompetent. Adoption isn’t always necessary or preferable. But it can be a smart choice for custodial stepparents, particularly when the other biological parent is either abusive or largely not involved. Even then, however, you may be in for a fight. You may be surprised that a biological parent who has shown no interest in the child otherwise suddenly is battling to stake a claim. They may do this out of pride or spite, even when they realize that what you’re trying to do is in the best interest of the child. This was the situation recently in a family law case recently reviewed by the South Dakota Supreme Court. In In re Adoption of Z.N.F., the father had shown little interest in the minor child after separating from the child’s mother. However, when termination proceedings were initiated, he would not agree to surrender parental rights. According to court records, the child was born in 2002, and the biological parents married shortly thereafter. The family resided in South Dakota, but later relocated to Oregon. Then in 2006, the couple separated. After that incident, the father moved to Colorado and the mother obtained a restraining order against him. This order was extended numerous times, and eventually expired in 2010, two years after a bitter divorce. The mother was granted legal and physical custody of the child, but the father was allowed professionally supervised visits. Despite his right to see his child, he visited only twice. He never attempted to modify the visitation order and did not contact the child through phone calls or e-mail or other means. He later said he was concerned such action would violate the restraining order. Also during this time, the father did not pay child support. The court in South Dakota (where the mother had returned to live) found him to be in arrearage of nearly $68,000 in support payments. The mother then moved several times without notifying the father. She says this was done out of fear for the safety of herself and her child. However, the father was notified of her location when he received notice of a 2010 bankruptcy filing. Although the father purchased a life insurance policy that named the child as a beneficiary and purchased health insurance benefits for the child, the mother says she was never made aware of them. Eventually, the mother married another man. In 2011, they sought to initiate adoption proceedings and requested the father sign an order waiving his parental rights and consent to the adoption. In this request, they alleged abandonment, continuous neglect and failure to pay child support. The father asserted he did not abandoned the child. The trial court sided with the mother, and allowed the adoption proceedings to continue, finding them to be in the best interest of the child. The father’s rights were terminated and the stepfather was allowed to formally adopt the child. But the case didn’t end there. The father appealed to the state supreme court, arguing that the trial court erred in waiving his consent to adoption, terminating his parental rights and issuing an order for adoption in favor of the stepfather. The state supreme court affirmed the earlier court’s findings, ruling that there had been no legal err in the conclusion of the case. It found the evidence supported the claim of abandonment. While the mother did not expressly notify him of her whereabouts, the court found she could have been easily located had the father tried, which he did not. The court said that while it did not condone the mother’s attempts to restrict visitation, that alone did not excuse the father’s limited efforts to contact the child. The father’s argument about concern of the restraining orders was unconvincing, the court found, because he had legal visitation rights to the child of which he did not avail himself. These cases can be incredibly wrought with emotion and the legal matters can be complex. Domestic relations law varies in state-to-state, so it’s important that anyone considering this kind of action consult with an experienced family law attorney. 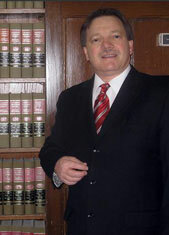 Indiana Family Law Attorney Burton A. Padove handles divorce and child custody matters throughout northern Indiana, including Gary, Hammond and Calumet City. Call 877-446-5294.